Sense of scale–a young child stands next to a ogoh-ogoh. 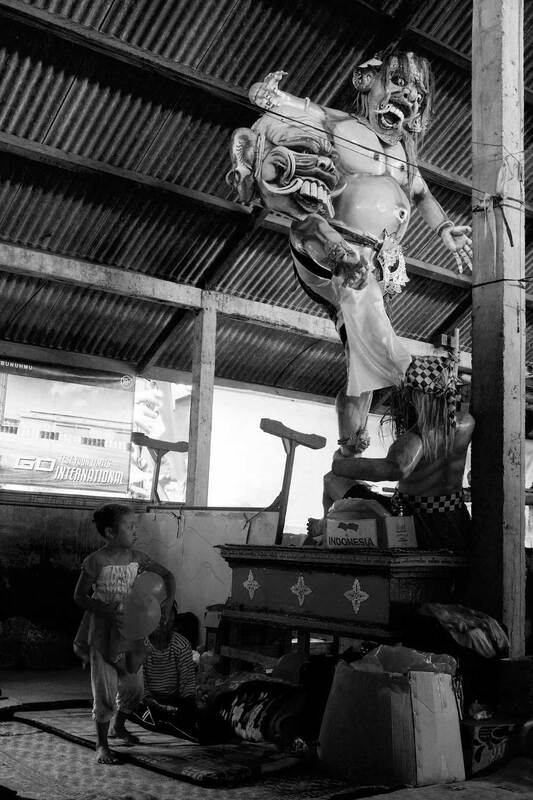 Ogoh-ogoh are statues up to five metres high, which represent the negative aspects or all living things. They generally take the form of a local demon (some look downright obscene). The Balinese Hindu authorities try their best to ensure the statues are representative of the true spirit of the event, though an occasional Sponge Bob or Spiderman has been known to slip through cracks. 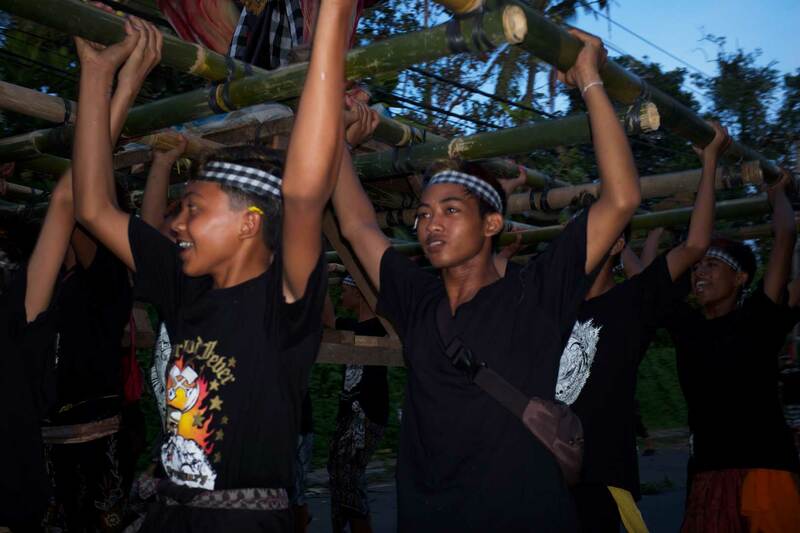 Dedication–young Balinese boys prepare an ogoh-ogoh for parade time (pengerupukan). 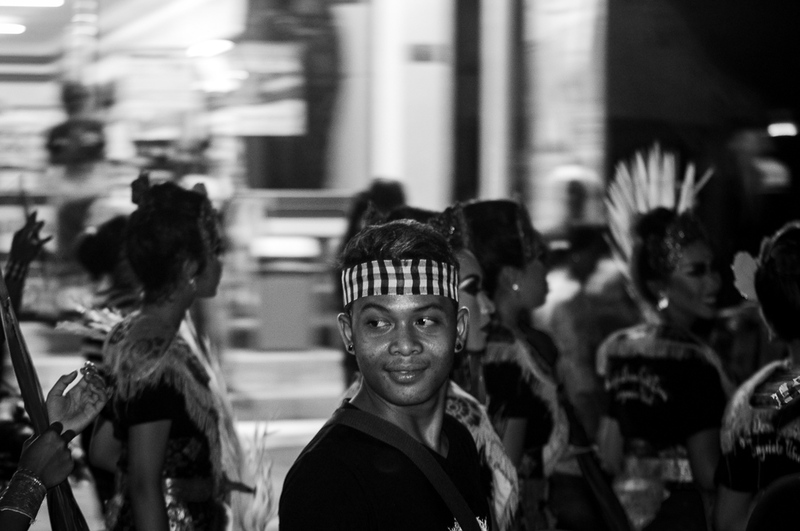 All the ogoh-ogoh come out to play at the pengerupukan parade on the night before Nyepi–Bali’s Silent day also known as the Balinese new year. 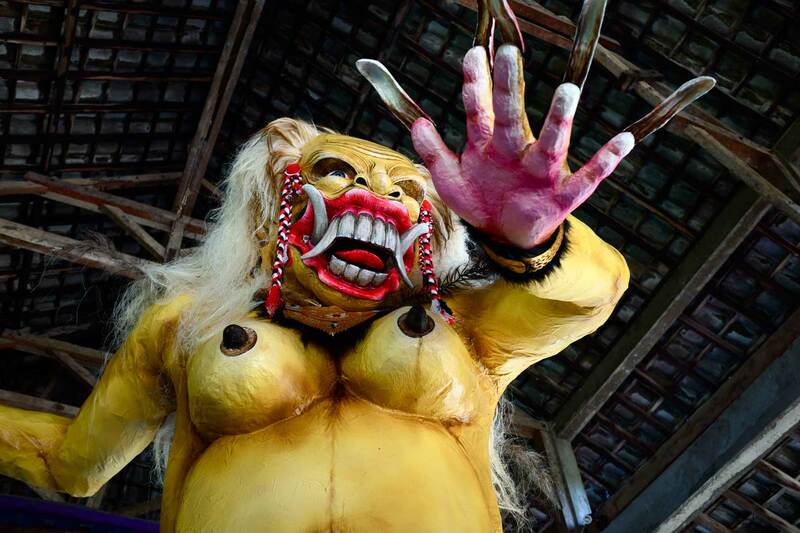 Read more about ogoh-ogoh and the Nyepi here. Balinese ogoh-ogoh enthusiasts pose for a group “selfie” at a Pengerupukan Day parade (day before Nyepi). 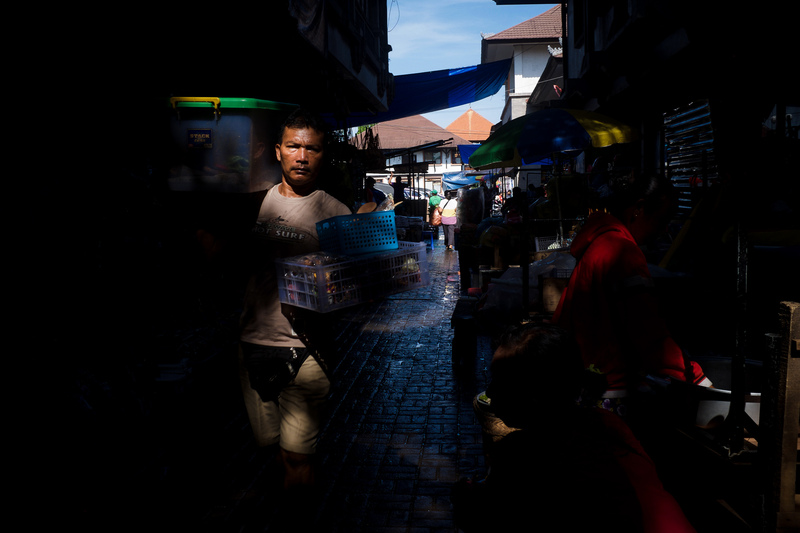 Glimpses of ogoh-ogoh in Lungsiakan, Bali. 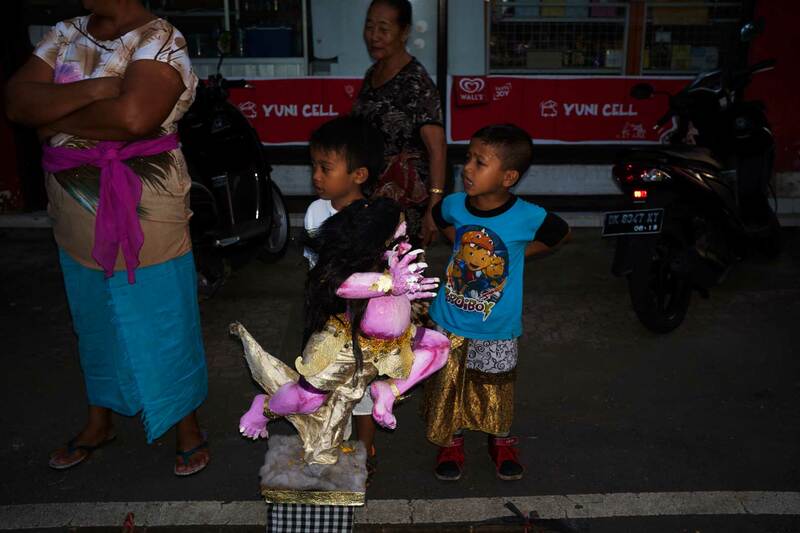 The ogoh-ogoh are finally released on the streets on the Balinese New Year’s Eve. 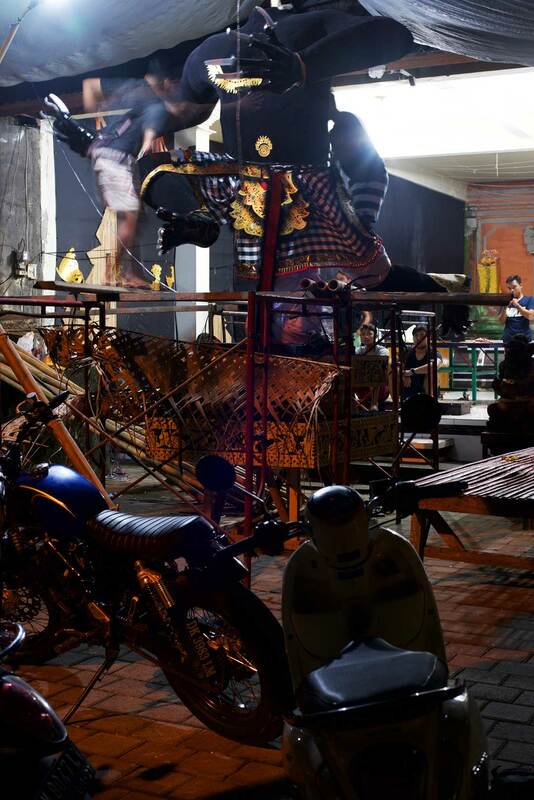 Glimpses of ogoh-ogoh in Singakerta, Bali. Juxtaposition and scale. Life imitating art or vice versa. 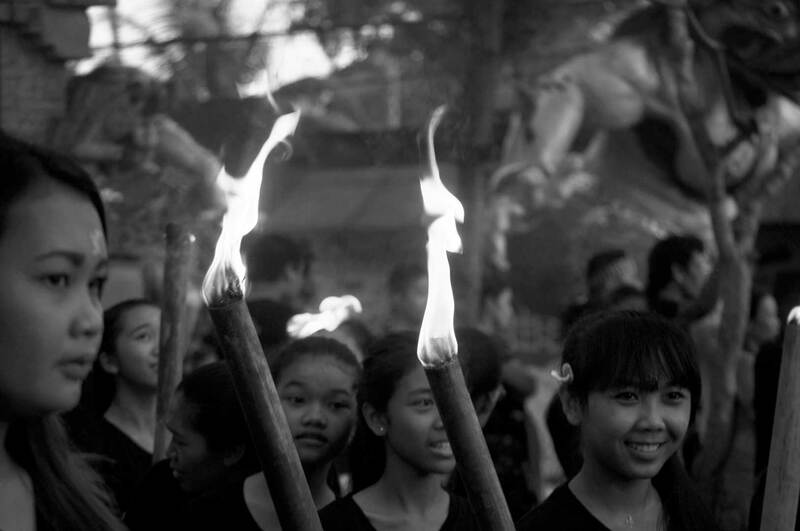 The night before Nyepi–the Balinese New Year or Day of Silence.